Tequila is not just the name of a fine spirit from Mexico; it’s also the name of a real Mexican town. Yes, that’s where the liquor got its name. In the past this pueblo magico has mostly been a day trip destination since good lodging options were scarce. 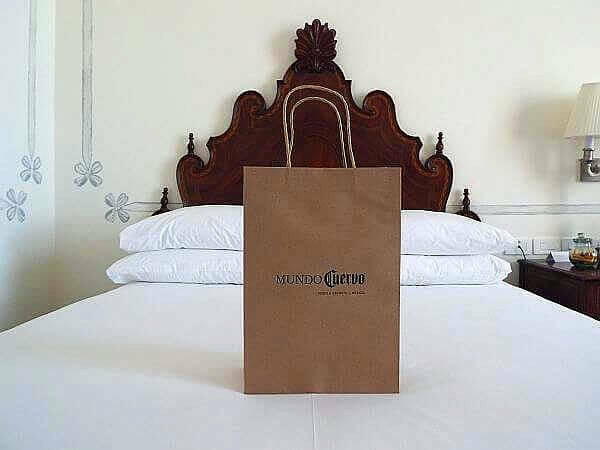 The house of Cuervo took matters into their own hands finally and recently opened luxury hotel Solar de las Animas. This is not a sleek and modern hotel nor is it a stuffy Ritz-Carlton type property. It’s Mexican through and through, with furnishings that harken back to Spanish Colonial times. Expect “dark wood accents, ornately carved writing desks and headboards, and tiled mosaics. The heavy stateliness of the décor is balanced by white backgrounds, tall balcony windows that allow for lots of sunshine, and a light touch on wall decorations.” You do get modern technology though, plus fine linens, rain showerheads, and L’Occitane toiletries. The hotel has the kind of bar that will overwhelm anyone who likes to sip different kinds of tequila. 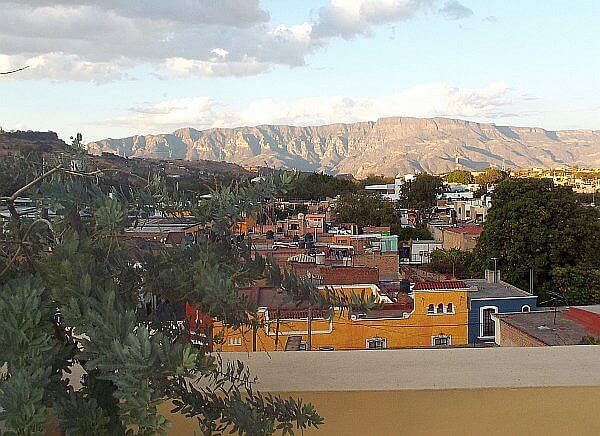 Solar de las Animas has a prime location that’s a short walk from the Cuervo distillery and the town center, with a roof deck (and another bar) that offers a panoramic view of the countryside and mountains of Jalisco. The main restaurant probably could have just played it safe and made heaps of money, but instead they aimed higher to please more discerning visitors. Solar’s restaurant, La Antigua Casona, is open to the public and serves breakfast, lunch and dinner. The menu consists of classic regional delights like birria, tortas ahogadas and carne en su jugo as well as the chef’s modern Mexican interpretations of local ingredients and seasonal produce for the 4-course chef’s menu. Don’t you dare miss the requesón flan; the region is known for its excellent dairy products. There’s a small pool on site with cushioned lounge chairs around it. The pool offers a respite from the mid-day heat, but in general this is a region where the weather is pleasant year-round. This would be a nice place for a cocktail though while the mariachi music drifts in from outside somewhere. There’s plenty to do in this area besides drinking, though of course there are lots of distilleries here in town and outside in the Los Altos area where some of more complex versions come from. Staffers are happy to set up excursions and if you visit the Meso-American ruins of Guachimontones, there’s a good chance you’ll be the only ones there. You can also feel far more like a local if you hit the cantinas and restaurants in this area at night, instead of during the day when busloads and trainloads of tourists hit the town and then head back to Guadalajara. Thankfully now you’ve got a nice place to lay your head when you’re done. 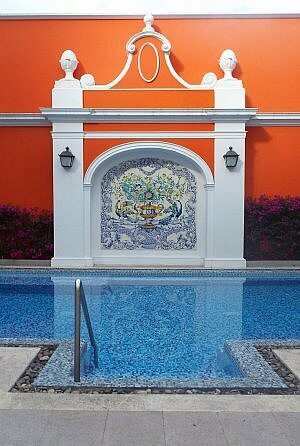 See our full review of Solar de las Animas Hotel in Tequila town, Mexico. That’s good to know. I wouldn’t want to go back to GDL the same day.